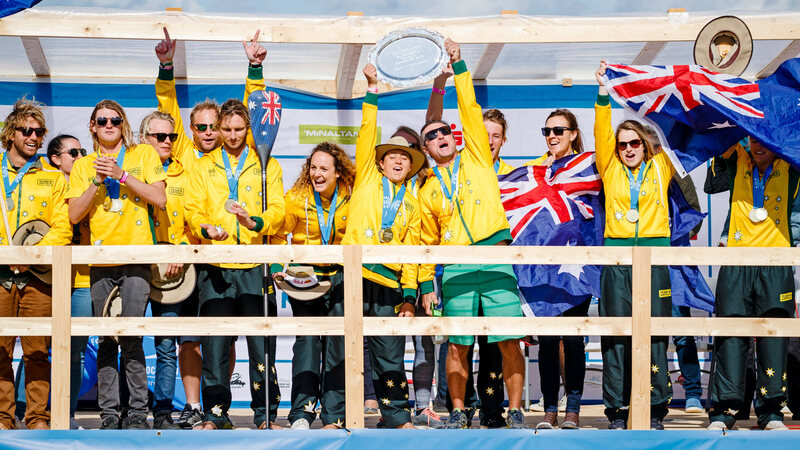 Team Australia has fended off a double attack to retain its overall teams title here at the ISA Worlds in Denmark, winning an exciting relay on the final morning of competition to seal overall victory ahead of determined squads from France and New Zealand. Quite fittingly, the top three placings in the team relay matched the final overall team standings, with Australia securing their fifth title in six years after a brave French attack fell agonisingly short, while Team New Zealand was also within striking distance all week but couldn’t quite close the gap. Anchored by Lincoln Dews, and with strong support from all-stars Jordie Mercer, Lachie Lansdown and Terrene Black, Australia was simply too good for their rivals, pulling clear in the second half of the relay to win comfortably. The result not only seals Australia’s fifth overall teams title, it’s also the fifth time they’ve won the relay. There’s only been six editions of this event. Behind the Aussies, France was locked in a symbolic battle with the Kiwis for the relay silver. The French started the anchor leg with a slight deficit, however Arthur Arutkin was able to make up for his relatively poor finish in yesterday’s beach race final to bring it home for Les Bleus, reeling in New Zealand speedster Trevor Tunnington in the dying stages of the race. The French can still hold their head high after a strong silver medal performance, as well as for the fact they were actually the highest ranked nation in the SUP disciplines — Australia had some great results of their own in the SUP, but the Green & Gold did have to rely heavily on their unstoppable prone paddlers to get them across the line. There was also a fairy-tale finish for the host nation, with Casper Steinfath anchoring an incredible relay team that punched well above their weight to secure Denmark’s first ever relay medal. After being setup by dual-bronze medalist Katherine Zink Leth-Espensen in the women’s prone leg, Casper roared home on the final lap to reel in Connor Baxter in the final 50 metres, flipping the tables on yesterday’s beach race finish and giving the home crowd a reason to roar. 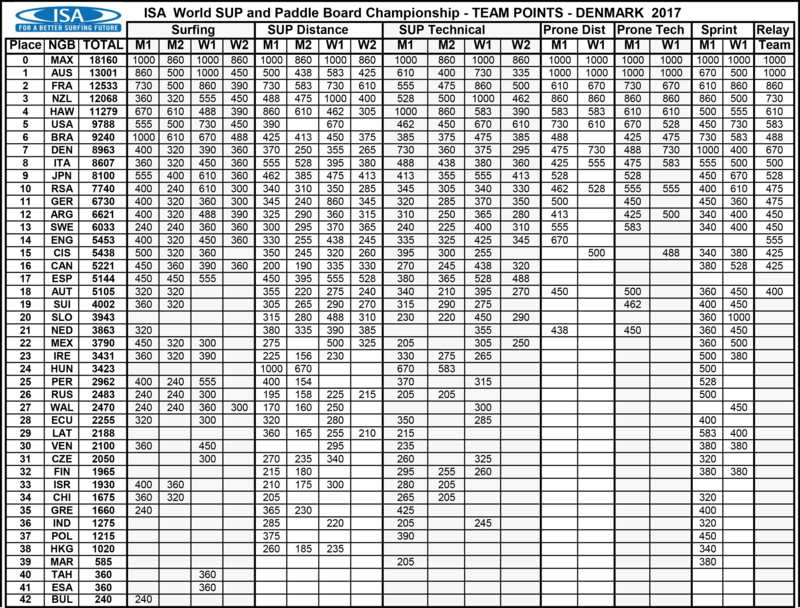 “Denmark defeats Hawaii and the USA,” is not something you’d expect to ever hear in a team paddling event, but that’s the new reality of an event that has seen a significant increase in both the size and depth of the field this year. 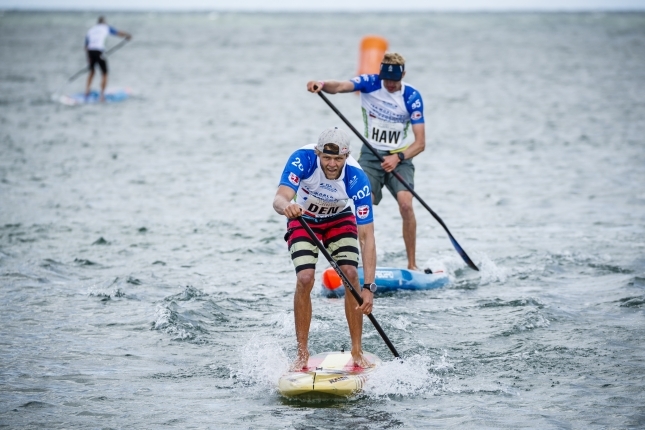 The result also cemented Denmark’s 7th place overall finish, which makes this paddling minnow the second-highest ranked European nation of the event. Scroll down for today’s relay results + the final team standings. Congratulations to all 42 nations that represented their nations proudly this week. While much of the focus has been on the medal winners, the real story this week has been how many new nations and athletes were on the start line. There have been so many great stories behind the story this week, and we’ll try and bring you a few of them over the coming days and weeks. But for now, a big “tusinde tak” to Denmark and the local organisers for making us all feel so welcome, and to the ISA crew for making it possible. Want more pics? Take a look at the official photo gallery from the final day of competition.